It opens with a snapshot: Kath, at an unknown gathering, hands clasped with a man not her husband. The photograph is in an envelope marked DON'T OPEN -- DESTROY. But Kath's husband does not heed the warning. The mystery of the photograph, and of Kath's recent death, propels him on a journey of discovery in which he must peel back layers of their lives. The unfolding tale reveals a tight web of secrets -- within marriages, between two sisters, and at the heart of an affair. Kath, with her mesmerizing looks and casual ways, moves like a ghost through the thoughts and memories of everyone who knew her: Glyn, her husband, past his lusty, professorial prime; her remorselessly competent sister, Elaine, a garden designer married to ne'er-do-well Nick; and their daughter, Polly, beloved of Kath, who oscillates between home, family, and the tumultuous new era she inhabits. 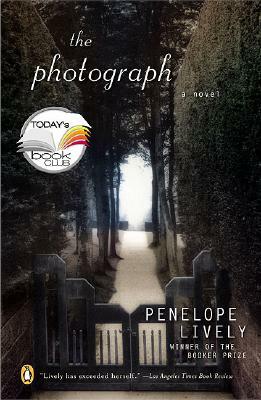 The Photograph, with Penelope Lively's signature mastery of narrative and psychology, brilliantly explores a woman's beauty and its collision with everything from her own happiness to the cost of professional "success." It is this award-winning author at her very best, the dazzling and intriguing climax to all she has written before.